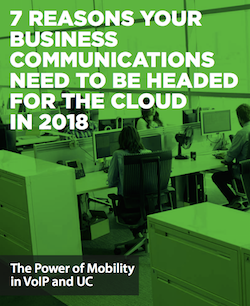 If your business communication systems aren’t already cloud based, making the switch from traditional systems should be a priority for your business in 2018. The advantages of cloud-based systems are numerous and significant. The cost savings are one well-known aspect - but there are many others like mobility, speed, and security to consider as well.